Photoshop Tutorial - What Are JPGs? Photoshop Tutorial – What Are JPGs? In this digital world we live in, you see the ubiquitous JPEG everywhere—practically all images you can find online are in this format. Short for Joint Photographic Experts Group, JPEG pictures are compressed images that have the .jpg file extension. Basically, JPEGs or JPGs compress images in order to make their file sizes smaller. The most annoying thing about sending files and pictures online or via email, is to find that your file attachments are too big; and we wouldn’t want that now, would we? Waiting all that time trying to send over files only to have them rejected due to file size…JPGs solve that issue by reducing image file sizes so that they don’t take up too much space, be it in your hard drive or USB or in your camera. How do JPGs compress images? What they do is group similar colors within that image together, thereby successfully “throwing away” additional colors that increase the file size of your image. Basically, they decrease the extremely fine details of your picture. You know how you blend colors together and they look pretty similar from afar? It’s essentially that. The downside to this compression is that JPGs create bands or layers of colors that create lines showing just where the similar colors where mixed together. So your image might look just fine and dandy in a normal view, but upon zooming in on your picture, you might just get horrified at all those obvious lines, not to mention all those little unwelcome boxes of color called pixels. This rings true every single time you save a file as a JPG format. Every time you save, it compresses the image, color, and detail even further, so the more times you do so, the more detail is lost in your images. That’s what happens when you sacrifice quality for size reduction. In contrast, by starting with a RAW format that comes from the camera, making changes, then saving in TIF format (or TIFF, which stands for Tagged Image File Format), this keeps your image quality nearly identical to what the camera saw. Even after zooming in, your pictures retain their quality, and suffer no losses on color as each individual hue is better represented, rather than JPGs mixing the similar ones together in a bit of a lazy manner. Of course, your file size is just as huge as the array of colors your RAW image supports. Another thing to note about the JPG file is that it only operates on an 8-bit bit depth compared to the 12 or 14-bit RAW or 16-bit TIF files. To understand what this all means, let’s go a little bit into how a computer sees colors. Digital devices all display colors as Red, Green, and Blue (or RGB). These RGB colors each have 256 levels of gray to pass through it so that brightness can be adjusted. You can adjust the intensity of the colors in each channel by inputting values that range from 0 (black) to 255 (white) for each of the RGB channels. A 8-bit bit-depth has 256 shades of gray per channel, while the 16-bit bit-depth has about 65,000 resulting in a smoother gradient of hues—a whopping huge difference, really. These numbers may be overwhelming, but what it fundamentally says is that your JPG files can only support so many colors, hence the really small file size. This is one reason why a JPG shows obvious lines of color or bands, which doesn’t really do justice to your photos. After all, the images and colors in real life don’t show any banding, right? Saving files in the JPG format may suffer image quality losses, but it’s great for keeping files on the small side, especially when you are travelling. It’s also a good option if you need to take fast photos with great numbers. If you don’t need to zoom in on an image to see minor details or if you don’t have a specific need for a high-quality, then JPG is the way to go. When you’re in a rush and you need to send files to clients, it’s best to use JPG format to keep files small. Sharing files over the web or via social media usually does not need high-quality photos. Also, when you share files over the web to someone else, the JPG format is your best bet to ensure full compatibility. In summary, if you need to take loads of shots of something fast-paced and your camera won’t be able to access a computer to transfer some photos to anytime soon, then you’re likely better off with saving files in the JPG format to make sure you get enough space for all those shots. But if you value image quality over the content and number of your pictures, then using JPG just might not be a very clever thing to do. It’s a simple decision, really. They say that the devil is in the details, but with file compression and Photoshop, it’s a case-to-case basis. When you whip out your camera in hopes of capturing a fleeting moment, the flicker of a firefly as the day turns to night, you want to take as much photos as you can, and you can’t do this if your trusty camera runs out of memory just when you need it most. Here lies the beauty of the JPEG and its small file size. But if you value the quality of your shots over their number, and want to capture the radiance of the heavens as the sun sets over the horizon, you’re never going to get every single detail of the flames dancing like fire in the sky with the JPG, so stick with your RAW format instead. So go out there and start minding your file format. It’s all in the compression! This Adobe Photoshop Tutorial answers the question: What Are JPGs? If you would like to learn more about Photo Enhancement from a Professional Retoucher, I offer Adobe Photoshop Classes. Please contact me today, and I will be able to add you to the schedule too. 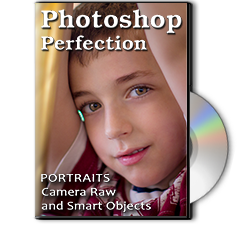 If you would just like to watch online videos, The Art of Retouching Studio offers many Photoshop Tutorials for Beginners and Advanced users.